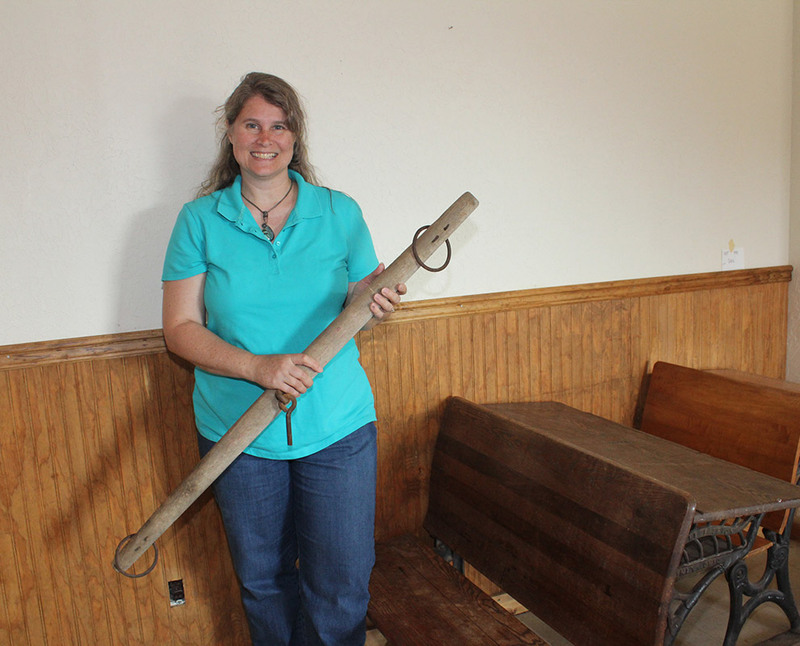 Singletree Emporium in Arthur opened its doors Sept. 2 and 4. The business is a dream Rachel Masters has had for a long time and is located in the former Aunt B’s restaurant. Masters said, “I’ve always loved old things and have wished for the time or money to indulge my hobby. It started when I was at my Grandpa Russell’s auction and saw some cherished items on the front lawn. I wanted to buy them for myself, so I got permission from my dad to bid on them and I won all of the ones I bid on. “While living in Arkansas, my husband, Darren, and I had a huge house, and I loved looking for antiques, vintage and repurposed items to fill it. Then, we started our family and the next years found me busy raising and home schooling our six kids. According to Rachel, Darren has been in the construction business for more than a decade. She said, occasionally, a customer will ask him to relocate their functional, out-of-date furniture, sink, cabinet or windows, etc. Many of those items were relocated to the outbuildings on the Masters’ farm. “Darren and I had all kinds of crazy ideas of what we wanted to do when we moved back to Iowa in 2003. We are project people, and we started looking at the outbuildings on the farm. On Easter break, a comment was made that we should have a workshop in the empty Arthur Café building. We started the process and purchased the building. At that point, we weren’t sure what it would be. “The building was in fantastic shape, and Brenda Mace was a great encourager and friend. Darren has his workshop in the former kitchen, the main dining room is a show room and there is also a kids’ area. Masters said there are a lot of talented people in the area—artists who do paintings, individuals who build barn wood tables and others who repurpose old items. These are all types of products she plans on featuring at the emporium. She said, “So far, everything is on consignment. There are a lot of people out there who want to consign stuff. They want to empty out their basements, attics and garages. For those looking for repurposed, vintage or antiques, this is a good place to look. “A lot of people are tasked with cleaning out their home or their kids are tasked with cleaning out their parents’ homes. I want the items many throw away to go to someone who will appreciate them. We offer one-of-a-kind items here. I want our place to be somewhere moms and families can come, a place where kids are welcome. “Someone asked me, what about kids touching everything and possibly breaking something? I loved to go antiquing when my kids were younger, and I taught them to put their hands in their pockets. I want kids to learn and to go antiquing with their parents,” said Masters. Hours are currently Thursdays from noon to 8 p.m. and an occasional Saturday.